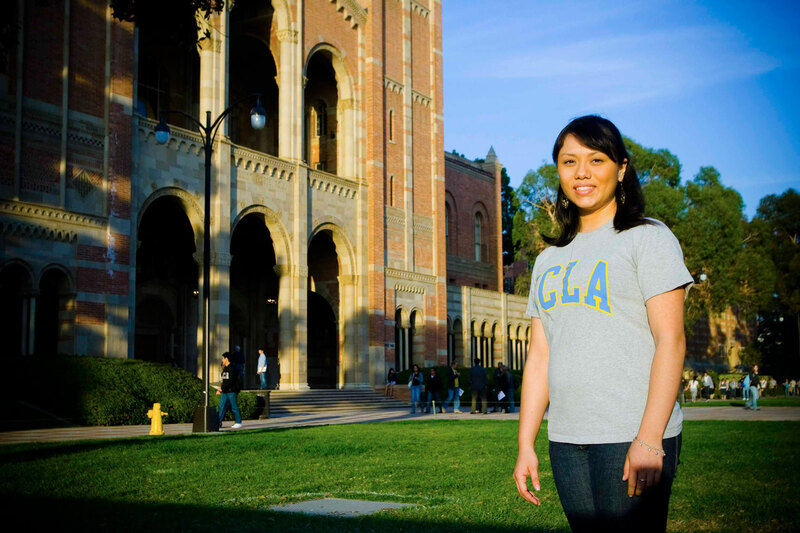 As a young girl growing up, Angela Becerra always knew she wanted to go to UCLA. A Bruin at heart, she aspired to be a part of the campus community and set an example for her younger sisters. “I just loved the big campus and the opportunities. When I was in community college I would come here and I definitely felt like I belonged here. It didn’t feel big to me.” Becerra transferred from Citrus College and fulfilled her dream of coming to UCLA, where as an international development studies student, she excelled in her classes, maintaining a 3.19 GPA. By working with the UCLA undergraduate admissions office, Amnesty International, American Civil Liberties Union and Public Counsel, as well as participating in various other student organizations, Becerra decided to apply to law school—a high goal for this first generation college student. Becerra looked forward to her future after college because felt she had taken advantage of “all the opportunities… here and explored the different resources and the classes.” Starting with a design | media arts major, it was by exploring international development courses that she found her passion and her possible future—public interest law. She volunteered at organizations such as ACLU, where she had the chance to campaign for policy changes, and Public Counsel, where she was able to provide legal help to families. These experiences sparked her desire to work with a non-profit organization upon attaining a law degree. In addition to volunteering and working, Becerra was also involved in numerous student groups and organizations such as the National Gay and Lesbian Task Force, Los Angeles World Affairs Council, Everybody Reads, Bruin Belles Service Association, Total Wellness Magazine, and the pre-law fraternity Phi Alpha Delta. By taking the initiative to go out and utilize all UCLA had to offer, she felt ready to embark on a new chapter in her life. With years of knowledge and experience garnered from her time as an undergraduate, Becerra had wise parting advice for the underclassmen. “Just take advantage of all the opportunities. There are so many different centers and workshops, try out a bunch of different clubs and find your niche within the campus.” For Becerra, one of the most important things was making a trip down to the Career Center, where she had the chance to discover numerous internships that would shape her UCLA experience. 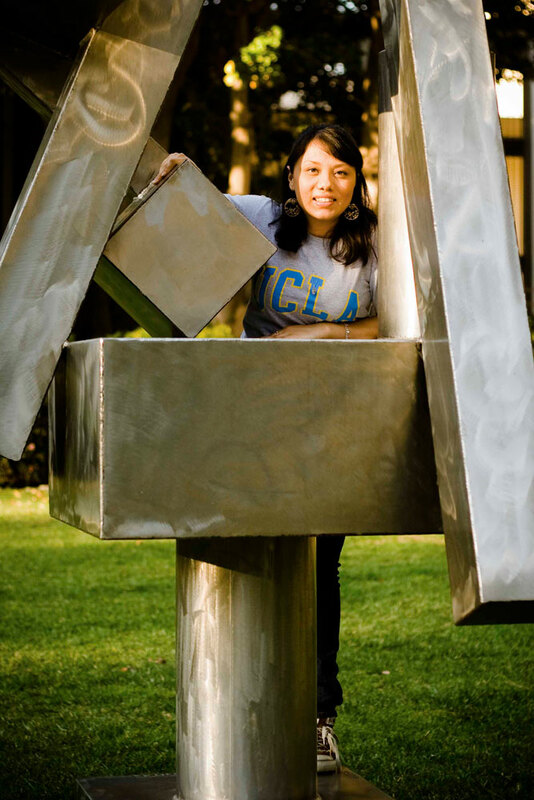 With her hard work and determination, Angela Becerra realized her dream of attending UCLA. Not only did she succeed in making it through the years of studying, but she thrived in her environment and embodied all the ideals of being a Bruin.